After a very long and exhausting day previously (even though it was spectacular) you can imagine that everyone rolled in a little bit later today, looking a little more bleary-eyed and not as ready-for-action or prepared for the day ahead. You’d be wrong. Getting on board and understanding why – Why Pi? 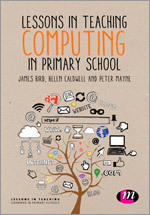 Why Computing? Why change? I arrived at Pi Towers about 15 minutes before everyone was supposed to arrive and already a group had formed waiting to enter. By 8:20 a group of us were sat discussing a variety of projects based on conversations from the previous day – extending what we knew and questioning what we could do next. More and more people arrived and before long we had a full house and were ready to go. Today was a very different format to yesterday. Yesterday the focus was attending workshops and learning a set group of ideas. Today was focussing on inspiring us and allowing our creativity and new skills to flow. Wow, did we see some incredible ideas! The morning started with Eben Upton, co-founder of Raspberry Pi, regaling us with the journey the Pi had been through. As a member of the board of interviewers for Cambridge’s undergraduate computer science program he witnessed a gradual decline in interest in the computing subject as well as a metamorphosis in the candidates previous computing experiences. Originally, computer science applicants would have taught themselves some programming at home and explored basic computer science concepts by taking things apart and seeing what they do – this wasn’t happening anymore. The need for the Pi was recognised – before the new curriculum was even thought of. As a teacher, I remember reading the new draft curriculum the first time. Seeing the tweets about the transition from ICT to Computing, I was amongst the masses asking how on Earth are we going to teach this? Why on Earth do we need to teach this? I remember going into to school and trying to discuss the changes in the staffroom and with my head and deputy only to find no one else had even seen the document yet! The reason I mention this is because these questions were not raised for the right reasons. They were raised by teachers who were scared, myself included, and not with the critical information they needed to make an informed decision. My journey since then has led me to reach the same conclusion – exemplified by what Eben was saying today, children NEED to learn Computer Science. They need to do more than just consume media within a ‘magic’ box. They live in a world run by computers, their world is more and more involved with computers everyday – surely they need to understand HOW these things work so they can make informed decisions now and in the future. 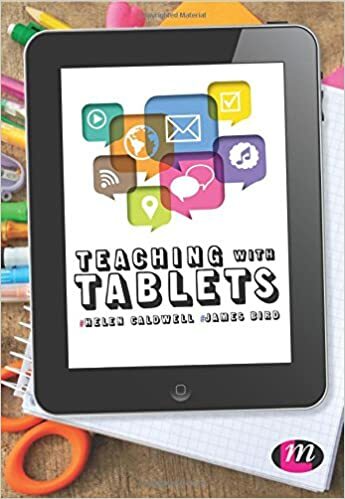 This does not go into the need in industry for a generation of children who need to ensure technology continues to progress to meet the new needs of the subsequent generations. You can see Eben’s talk definitely rang true with me and supported my own realisation of the need for Computer Science. From here, he began to discuss how the Pi has gone beyond the expectations. They were hoping to reach a few wannabe computer scientists and give them the much needed experience of varying components and ‘playing’ with what makes a computer. Actually the reach had spread much wider from the young to the old and the result was a complete sell-out on day of release meaning many didn’t get hold of their Pis for several months. Imagine having an idea which was that popular – how could that not inspire you! Finally Eben finished with some examples of really cool things which people had since done with a Raspberry Pi. The coolest thing by far was the weather balloon taking the Pi into space. If you have not already heard about this then check out the info here: http://www.raspberrypi.org/pi-in-the-sky/ and this is where he said the quote which really got me thinking: We are living in an age where any primary school can have a space program… Think about that! After that introduction to our day things progressed. Again getting us thinking and ensuring we would make the most of the opportunities we’d been offered over the last 2 days. The next up was Sam Aaron sharing with us the need for computer science to be creative and not restrictive. This again went with the idea that the need for computer science went beyond just being for those that are going to make millions designing the next ‘cool’ thing. Computer science is about you making what you want to happen, giving you control over whatever you want. You can now make things happen – that’s a lot of cool power! We had already seen SonicPi yesterday – a simple program which allowed the user to program music and learn programming concepts along the way. Sam went on to show us a range of ‘live coding’ events where you can be on stage programming to a live audience and deciding what tunes/notes to play to an audience. How cool would it be to do a battle of the bands style event where children program music? This makes me very excited. As well as this he showed us an art gallery where some artists had been experimenting with Raspberry Pis and programming to create art. One guy had taken a picture on a Pi using PiCam and had then turned the pixels of the picture into sound to transmit them to another device which would put the picture back together again. These participants were adults with no previous computer science knowledge who were using the Pi (and programming) as a tool to explore their own medium. Next up it was Matt Manning to talk to us about what I think is a very unique and important aspect of the Raspberry Pi – its community. He split this into 3 key areas: the Raspberry Pi forum, blogs and YouTube channels helping you get started and Raspberry Jams. The forum is hosted by the Raspberry Pi foundation and is a community where people can go and ask questions. I have to admit I have looked at the forum a few times before now and not understood what was going on so I left again. This is changing. There is an education section of the forum now and really it is what we make it! The best bit is the wealth of people there who can help you. They may not all be teachers and have no idea how to teach (but you can do that bit!) instead they can explain things to you which you don’t know and point you in the direction of help. Blogs and YouTube channels are great. We are now in a time where pretty much anything you don’t know how to do – there’s a video or a blogpost for that. Someone who has been through what you are going through has taken the time to explain exactly what they did, how they did it and sometimes even why they did it. There are some prime examples which Matt picked out for us below but don’t forget you can always Google questions! Finally, Raspberry Jams are a great place to go and just see what people are doing with a Pi. When I first started going to Jams I was the only teacher, I had no idea how to do any of the amazing stuff other people were doing and I wasn’t really sure what I wanted to know either. This was fine. I met some impressive people who would tell me what they’d been doing – even if I couldn’t do it, I knew it could be done on a Pi – that was a start! For me, it was also about making connections – having a group of people I could call on to show my class cool stuff. At this point I wasn’t sure about the curriculum, as I have mentioned above, but here were a group of people who showed what you could do with this knowledge and what fun you could have. I wrote several posts about my initial visits to Raspberry Jams – do have a look if you’re interested. 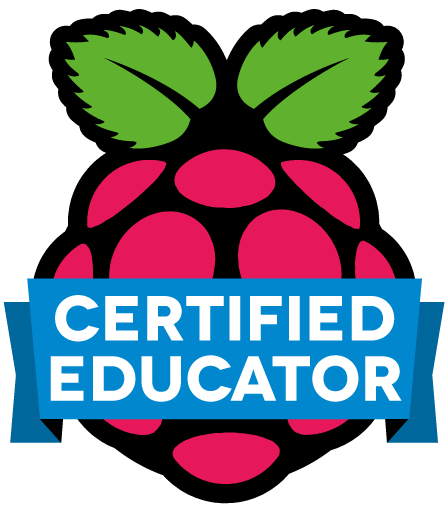 Over time more and more teachers have started exploring the possibility of using Raspberry Pis in the classroom and more and more people have started getting involved with Raspberry Jams in general. This has meant that many Jams are now also an opportunity of teachers using Raspberry Pis in the classroom to get together, meet face-to-face and discuss ‘stuff’. Check here for Raspberry Jam events in your area and if there isn’t why not set one up? All you need to do is set a time and a place and ask participants to bring the rest! If you are in the vicinity of Cambridge I would strongly recommend Cambridge Raspberry Jam, CamJam for short. I had been meaning to go to this event for a while but things kept cropping up until February where I was amazed. The event is more formal than other jam events but it is huge. You can buy stuff for your Pi to try there and then (after all, who wants to see something really cool and not be able to do if for a week until your stuff comes through the post), there are talks about what different people have done with a Raspberry Pi and there is a show and tell area. Even if you haven’t done anything with a Raspberry Pi yet, you can gain so much just by turning up and having a nose. Also, May’s CamJam has a specific focus on education – check out the info here. Matt wrapped up with something that I think is very important. Computer Science is not entirely about programming and not everyone will be good at programming. This doesn’t mean not everyone can go into a Computer Science profession, there are a vast number of other options. What about networking? Servers? Or other options. I think it’s really important that we also give children an opportunity to see these sides of the subject – who knows what they’ll take away from it! Now we had reached the end of the formal talks for the morning and were given the opportunity to explore. Whatever we wanted to spend more time having a go at we could. It was like children in a sweetie shop. We all had our Pis but from there we could just take what we wanted to explored – I started with the Pibrella having wanted to compare it with the BerryClip++ for a while. I managed to create the same basic functions – turning lights on and off in both Scratch and Python. 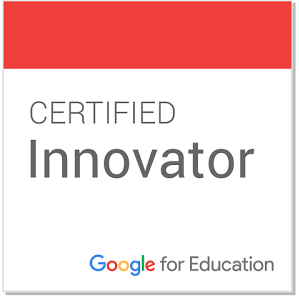 For me this was a great success – always with differentiation in mind. Such a fantastic range of ideas – just wow! This brought an end to our fabulous time at Picademy. It was an epic journey. For some present, they had never plugged in a Pi before Monday, by the end they were exploring different programming concepts not for necessity but for curiosity and intrigue. 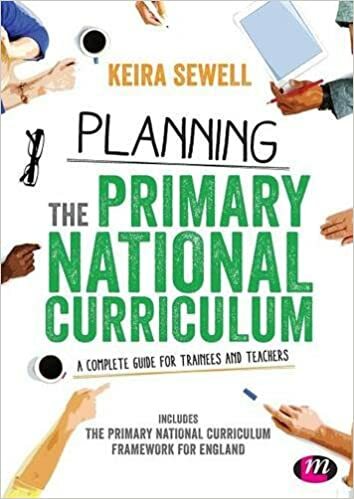 For others, we now had a colossal array of activity ideas and cross-curricular links not to mention a brilliant network of fellow interested educators. What more can you ask for from 2 free days of CPD? If you have read this and are interested about getting involved you are of course, welcome to contact me. However, it is also worth signing up to the Raspberry Pi forum and chatting to other like-minded people as well.